Zineb Ait Bahajji from Google announced on Google+ that they added a new filter to the Google Search Console report for apps called as Search Appearance. 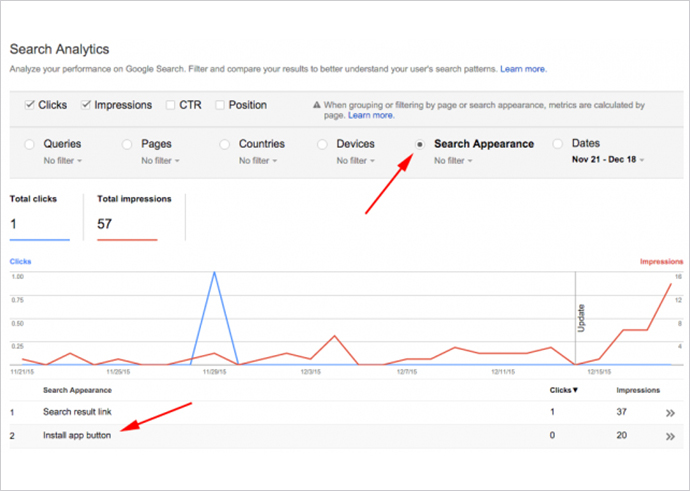 This report will show you by keyword who clicked the install button for your app. As per the announcement made by Zineb Ait Bahajji, Google has added a new filter ‘Search Appearance’ to its Search Console that will track ‘install app’ button in the Search Analytics. At present, this filter will allow you to see ‘Install App’ button data in the search engine’s mobile search results. It will further enable you to see what queries typed by the users allowed them to see the ‘install app’ button in their search results. This data will be segmented according to country, keyword and other filters. With this data you would know from where most of your app users come. However, the report would not show how many users completed the download process. It will only show how many people clicked on the button from the search results. Zineb also stated that this filter will not track actual downloads process from the Play Store. However, it will provide information from the button’s appearance in the Google’s search results. 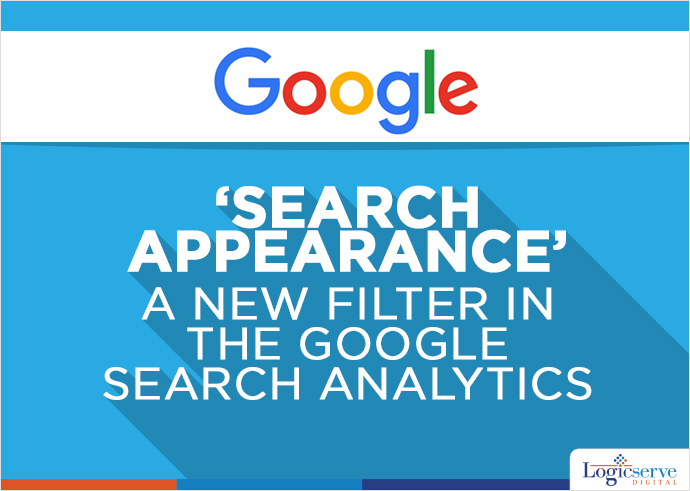 Further, Google’s ‘Data Anomalies Page’ states that this filter will have an impact on the total number of impressions and clicks in the analytics reports. For instance, if the Google changes its data aggregation methods or if in case there is any logging error, you might see a fall in the analytics chart. How to make Google rank your page higher in the Search Results? What all you need to do to become a successful SEO consultant?